It is officially Autumn- and by that I mean the leaves are orange, the boots are out and i’m drinking hot chocolate by the litre. I cannot get enough. 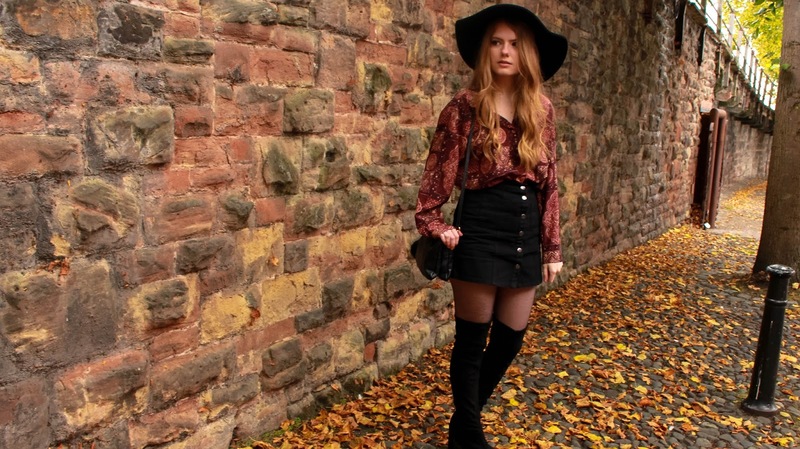 While in Chester I lived up to my ‘overdressing for everything’ rep while attempting to get as Autumn as I could possible get. I’m loving A-Line skirts recently and this one from Urban Outfitters is my favourite. I paired it with a shirt I got years ago for a couple £ (it has shoulder pads! I repeat, it has shoulder pads!). Learn to love the ugly shirt and the ugly shirt will love you. The boots I got from eBay, and this was the first time I had worn them outside. They’re surprisingly comfortable to wear. However, they hate to stay up! It got pretty annoying but I guess it was something bound to happen as they were pretty cheap and not made to my leg size- i’m sure if I invested in a quality pair they’d stay up a little more. I really don’t have much to say about this outfit. I was unsure about the skirt at first but I did wear it straight out of the bag, wrinkles and all. Now that its been washed and ironed I like how it fits on me a whole lot more. ps. I wasn’t going to post this bc it’s not that interesting of an outfit. also bc it includes that damn hat again, I have a problem, I keep wearing it. I love this outfit and how you make this shirt look good! 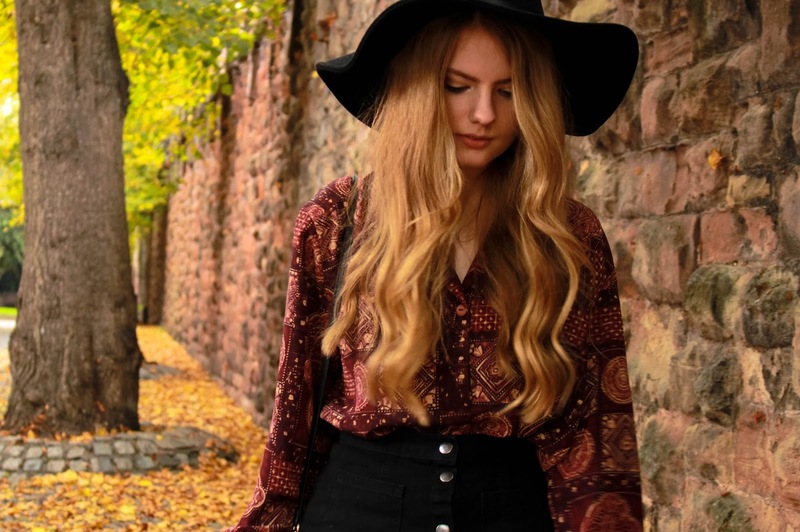 well, it isn't a bad shirt, since it makes the whole outfit look autumn-ny!